Leg day quote: If you can walk normally after leg day.. Then you need to train harder! 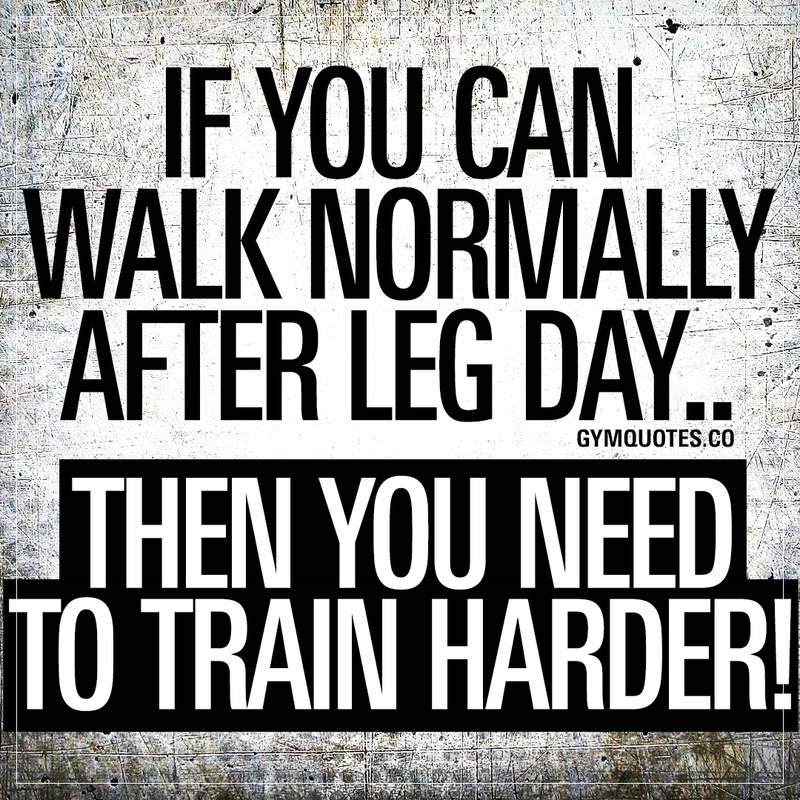 If you can walk normally after leg day.. Then you need to train harder! You know you went all in when you can barely walk after leg day… When your legs are shaking and you can barely sit down or stand up straight. If you can walk normally after leg day.. Then you GOTTA train harder! If you like this leg day quote, then make sure you share it with someone! This leg day quote (image and text) is copyright © Gym Quotes 2019.